A recent article in Christianity Today titled After Turning Theological, Christian Hip-Hop Turns Critical highlighted the increasing doctrinal content of the new wave of Christian rappers. Although there are still many gospel rappers communicating a simple (some would say simplistic) come-to-Jesus evangelistic message and there are still a number of old school Christian emcees engaging in dissing the Devil, there are now an increasing number of rappers addressing some of the doctrinal errors and ills within the Church. One particular issue, that of the rise of prosperity gospel teaching is now attracting major debate. 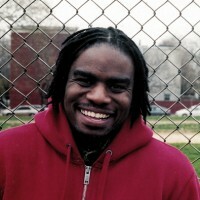 The Philadelphia-born rapper Shai Linne recently released the track "False Teachers" on his album 'Lyrical Theology Part 1: Theology'. On the song the emcee declared that teachers of the prosperity gospel are "heretics Christianising the American dream." Linne calls out a number of prominent pastors by name - including Joyce Meyer, Joel Osteen, Paul Crouch, T D Jakes, Benny Hinn, Creflo Dollar, the entire Trinity Broadcasting Network and Paula White. White's son, Brad, publicly responded to Linne, calling the song "pure cannibalization without biblical reference" and arguing that the rapper had maligned his mother's genuine faith in Christ. Linne defended the song in an open letter. "Paula White lists 'financial abundance' as one of the promises of the Atonement," he wrote. "This is false. It is also a slap in the face to the millions of godly saints. . .who do not live in 'financial abundance' like many of us live here in America." The rapper explained in a video posted by his record company, Lamp Mode Recordings, that he wrote the song to address an issue in the American Church that is now spreading overseas - not to cause controversy. He said he addressed the issue in "Faulty Doctrine", a 2003 song with fellow rapper Timothy Brindle, and he wanted to write another song as the movement has grown - especially in African countries Malawi, Ghana, Nigeria, Kenya and Zimbabwe. "You have these rallies where literally over 100,000 people will come to hear these guys talk about prosperity," Linne told Wade-O Radio. "The people who are coming are impoverished like crazy and they're buying into it thinking that this false theology is going to be their way out of poverty. They figure, 'Hey, it must work because it's working for these guys in America.'" On his website Real Christianity writer Alan Higgins wrote, "Lately I have been listening to quite a lot of Christian hip-hop. Why? Because I am finding that a lot of these reformed rappers have songs that are jam packed with theological truths. You can get more teaching in one song than what you get in a lot of churches in a year. People like G Craige Lewis (a prominent critic of all hip-hop) have made the mistake of throwing out the baby with the bath water and labelling all hip-hop as worldly. While there is a lot of corrupt hip-hop out there, God has a remnant of rappers who will boldly proclaim God's truth." Higgins' comments struck a chord with many of his readers. One, Kevin, responded, "There is a strong reformed movement in the hip- hop scene right now being led by Da Truth, Lecrae, Ambassador and Cross Movement. Their theology is solid, and their application of the Gospel in mission to a lost culture is impeccable. You should also google Ambassador and read the lyrics to his songs 'Wretched Man', 'The Fall', 'My Clothes My Hair'. . . some rich theology applied to mission in these lyrics. You should also check out www.EpiphanyFellowship.org and you can download sermons by Ambassador aka Pastor William 'Duce' Branch. Check out the sermons on The One And Only Gospel. As I once heard Da Truth say, 'Rapping is the easy part, keeping the lyrics biblical is the hard part.'" Not all gospel rappers, of course, are prepared to take on the perceived errors of the prosperity gospel. 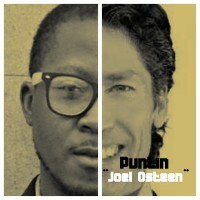 In fact, the Texas-based emcee Puntin recently caused considerable controversy by releasing the single "Joel Osteen", a track in praise of one of the leading exponents of prosperity gospel. Its release brought forth a string of comments including one from k12rising: "Are you serious? Joel Osteen is a False Teacher! He promotes a New Age heresy called 'Prosperity GospeI' look it up... it's not true Biblical Christianity. You are gonna lose a lot of true Christian fans if you promote these wolves. I've been a fan of your previous music, but Puntin please brush up on your theology and check you haven't been deceived by this false gospel. His theology has been described as 'cotton candy' theology - tastes good - but no substance. Read Matthew 7:15"
Puntin responded, "My theology is far from fake, and by you assuming that it assures me that you're probably wrong about Joel Osteen. Everybody has their own lane. Just because he doesn't preach a pointing the finger Gospel, doesn't mean that his way is false. Just as the way I rap. Maybe that's his/my lane. God bless you, and be sure to not fall for everything you hear. . . your lips could be putting lies on Men of God. Don't condemn yourself. Love you." Puntin's view is clearly not one shared by many of the current wave of reformed rappers. As Douglas K Adu-Boahen blogged, "Reformed thought has a major voice on the [hip-hop] scene right now. Shai Linne has even done a whole album articulating the reformed understanding of the atonement, with sermon clips from John Piper and C J Mahaney. I think it's great. . .at least holy hip-hop hasn't gone the way of gospel [music]." There are a few things I would like to address 1. From what i hear brothe Linnes saying is more like we africans follow things because they are being practiced by americans. Thats very wrong. Americans dont own thw word of God. 2 I hear these people talking about the false doctrine what they term prosperity Gospel and what it preaches and they also talk about the real gospel but they dont say what the real gospel preach...i would like to hear that last part. I think you mis-understood G. Craige Lewis's position regarding Hip-Hop. He is not against Christian Rap, he's against the lifestyle/subculture of Hip-Hop. Shai Linne's style of Rap (Rhythm And Poetry) is very unique in that it teaches theology in form that I can understand since I grew up listening to rap music. You should consider buying G. Craige Lewis's DVDs. I've heard them all and visited his church. He makes it very clear he is against the sub-culture of Hip-hop and against gospel artists who are more interested in promoting themselves instead of GOD. Shai Linne always promotes the Trinity in his songs. I am saddened about this. Brother against brother. There are many cults and sects out there that have far from correct doctrines. We should focus on them not on our brothers. THere are lots of lives that have been saved and changed through the ministries of Joel Osteen, Joyce Meyer etc. I believe that God's heart longs to prosper His people in any way, including Africans, just like he did the Israelites. Why people are poor? I really don't know but one thing is God does want to see me crawling and struggling to feed my children and pay for their schooling. I may not be filthy rich but I know I am blessed materially also to bless others. I do not know what these preachers and rappers are trying to prove. Wonderful article, Tony -- I consider the Christian rappers to be modern-day versions of the streetcorner evangelists, straight-talking without the glitz and glammer.